Fumigation wooden cases, which are well sealed and strong enough for long term trip, and suitable for multi-times loading & unloading by forklift. 2. Use combined type or open type transparent material box, easily washable no need to use tools. 4. Servo motor driving the screw to filling, with the advantage of high-precision, accuracy orientation, high-speed, great-torque, long-life, stable performance. 5. Stirrer’s driven by the Taiwanese reducer; Low noise, long life, maintenance-free life time. 6. 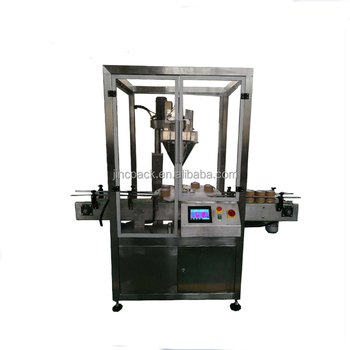 A variety of products formula with different working parameters can be stored, up to 10 kinds of formula can store in the machine. 7. The screw part fit together by clamp, easy to change, meet the requirement of packing different density material; include the micro powder to particles. 8. 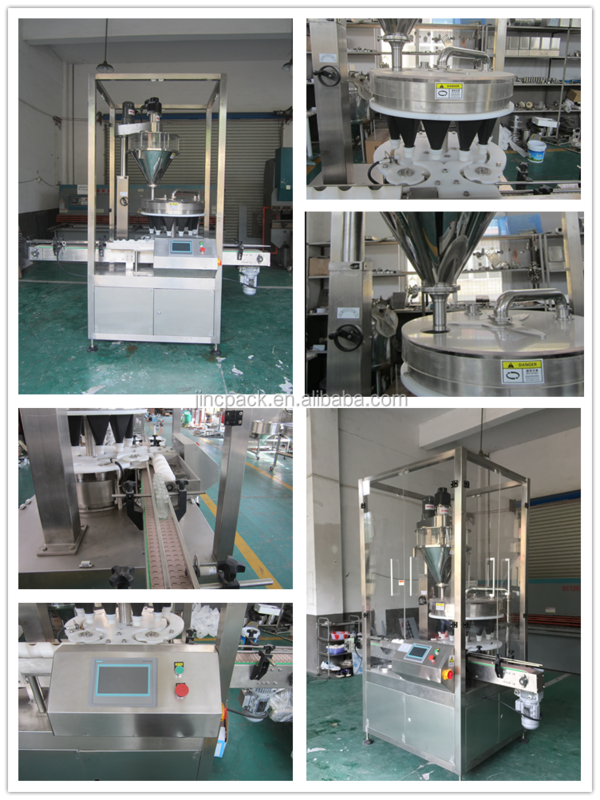 Chain conveyor to deliver the packing bottle/can. Distribution and location by turntable, automatic weighing and remove the defective products, Product qualified rate is high. We make accurate factory layout design according to customer’s factory size; if the customer needed, we could make workshop design with electric power, water supply, gas power, material storage, final storages, workers’ restroom, etc. 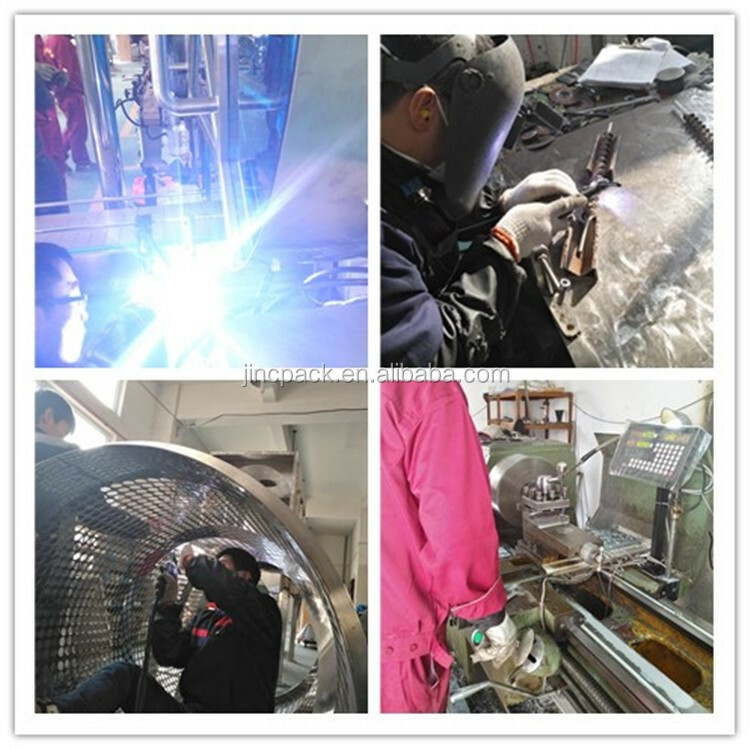 go to your factory to install and adjust the processing line to realize normal production at shortest time. Our engineers have responsibility to train and teach the workers how to operate, clean, maintain the repair all the machine, until the worker could well operate the production line. It normally costs 10 days for the commissioning service, and we supply 1 year guarantee from the date of completion of commissioning service. The engineer’s round-trip flight tickets, accommodation and daily salary USD 60 are on client’s account. Q: Can your machine be customized ? A: Yes, we are a professional manufacturer specilized in packaging machine. we have a strong design&technical team. We can design and manufacture as per your requirements. Q: How to get an accurate quotation ? A: Please provide us the detail of the workpiece such as drawing and dimensions. A: Payment terms: 30% down payment against order by T/T, the balance of 70% to be paid on delivery. Delivery time: about 20-30 working days after receipt of formal order and 30% deposit. Email etc. You can contact us any time, if urgently, please call us. Q: what’s the package ? A: All goods are packed in wooden box. Q: Do you offer Installation&debugging? A: Our engineers are available to service machinery overseas to help customers to solve machine problems. Q: what’s policy for guarantee and broken parts ? A: As for machine products, our company provides 12 months for all mechanical parts with the exception of electrical and electronic parts and those subjects to normal wear and tear. The guarantee is intended limited to the replacement of the broken part after checking the construction fault. The inspection of the causes of the trouble or the breakdown of the parts is exclusively up to the manufacturing company. All in all, our company can offer you assured products. 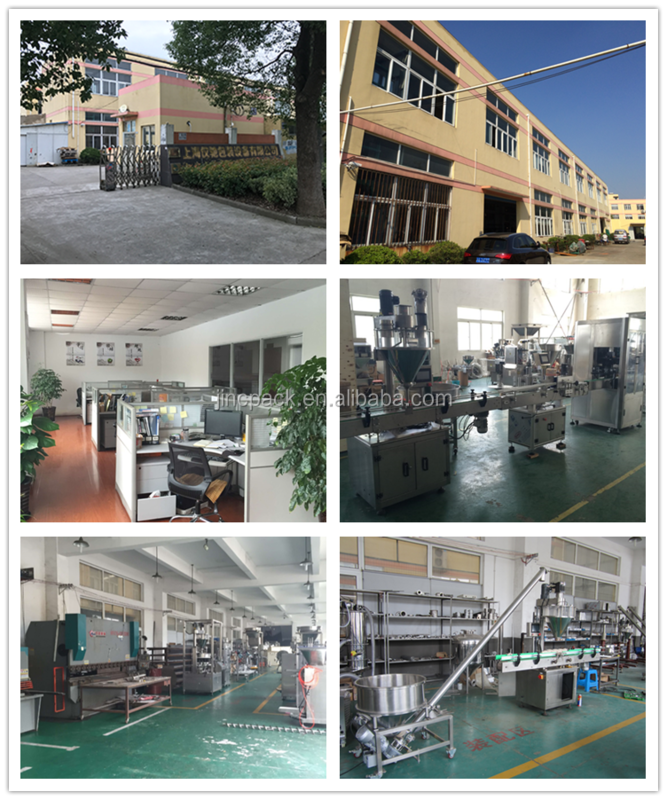 Shanghai Jinchi Machinery Co., Ltd.